College Football Playoff Committee Includes Condoleeza Rice? 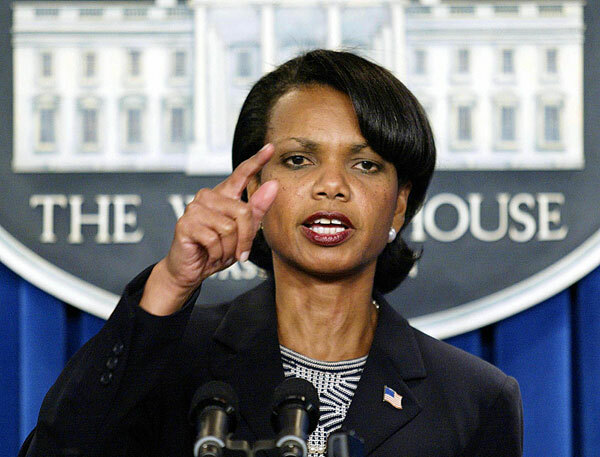 According to a report released by the AP, former Secretary of the State, Condoleeza Rice is going to be on the newly formed college football playoff committee. Yup, Condi will have a say in whether or not your college team of choice makes the playoffs. Rice has a degree from both the University of Denver and Notre Dame and has been a faculty member at Stanford since 1981. But being born in Alabama, the rumor is that she is all about the Roll Tide, Pawwwwlll. Other members of the committee have apparently been selected but have been asked to keep mum until the NCAA decides to makes the official announcement. Playoff Executive Director Bill Hancock along with B1G commissioner Jim Delany are both saying that the fans will know who most of the members are. The playoff is replacing the current BCS system that is in place and will begin in the 2014 season.